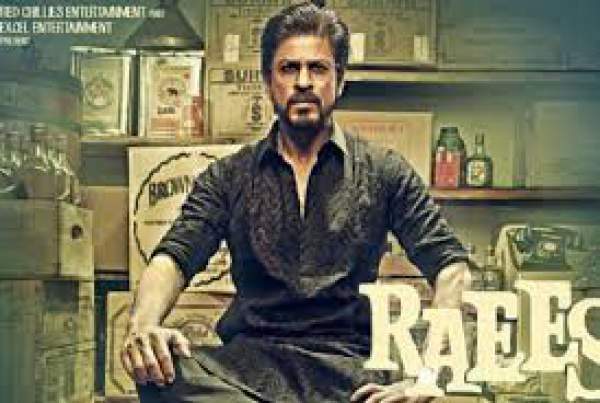 A new Raees promo is out in which Shahrukh Khan shows his aggressive and angry side. SRK warns everybody from calling him the battery. With every of his, Shah Rukh Khan is increasing the buzz around his upcoming movie Raees. It is scheduled to release on January 25, a day before Indian Republic Day 2017. SRK is doing a lot of things to increase the anticipation level and keeping it in the news. In a way, he is doing the promotion in every possible way to make his film work right from the first day itself. One of the ways of promoting the film is releasing the movie Raees dialogue promos which are making the wait unbearable. Last week, SRK had released a promo in which he stated “Baniye Ka Dimag, Miyanbhai Ki Daring.” In the gap of just a few days, another dialogue promo is out on the Internet which has gone viral online. It’s less than 10 days when the movie will be released worldwide. The makers have chosen to release it on the occasion of Republic day of India to enjoy a long extended-weekend. In the new clip of Raees promo, the way of everyone else addressing Shah Rukh Khan has been shown. Everyone calls him a battery and it offends him. In the aggression, he beats the crap out of everyone. He is playing the role of a bootlegger. Check: Khaidi No 150 box office collection. Apart from it, one of the most loved scenes also appears in the promo clip. In it, Mahira Khan calls SRK battery. In an interview, Mahira said that she felt cold feet at some moments while working with her superstar. She stated that she is a fan of Shahrukh Khan and even after coming fully prepared, she forgot all her lines while working with him. The movie will be released next Wednesday, and Mahira is fluctuating with all kinds of emotions in her own words. Directed by Rahul Dholakia, SRK will be seen as a bootlegger. Did you enjoy watching Raees promo? Stay tuned to The Reporter Times for the latest news and other Bollywood updates around the clock. Feel free to share your views and thoughts with us. Be with us on the release day for the Raees review and Raees box office collection update.